I can be pretty prone to restless nights which, in the past, have led to a lot of staring at the ceiling fan in my bedroom. But in a recent fit of insomnia I decided to channel some of my restless brain energy in to art. I am a big fan of classic art, particularly the impressionists. Personally, I think Van Gogh would have been an acrylic pourer in this day and age. 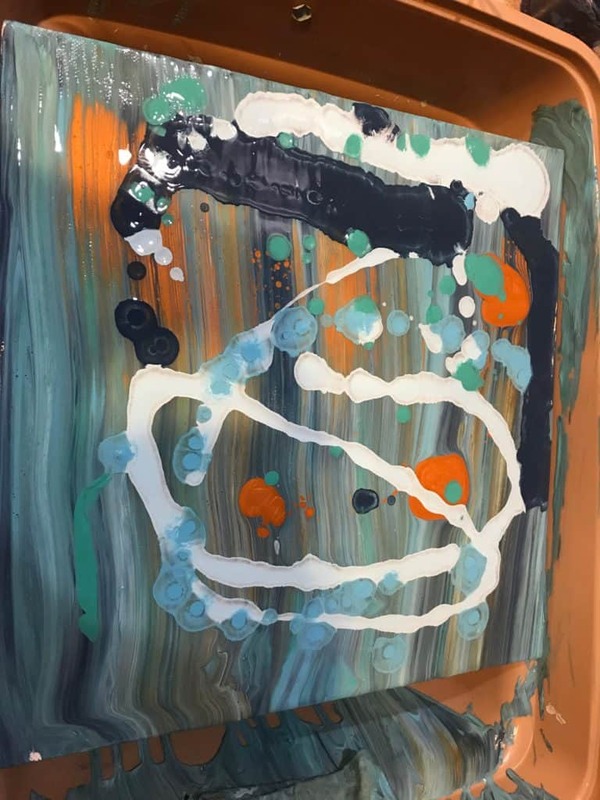 It was this thought that inspired me to create my latest pour. 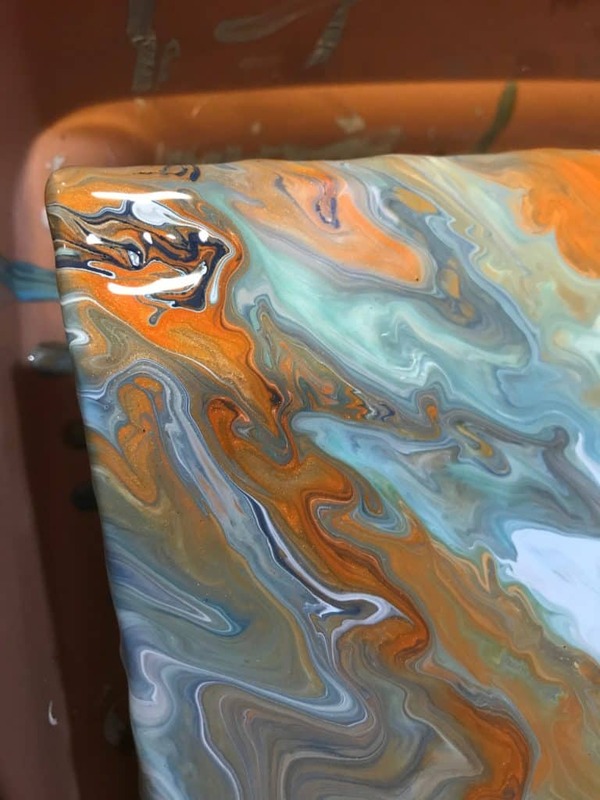 The colors of this pour were inspired by Van Gogh’s Starry Night masterpiece, but as you’ll see I could not do it justice… this time. 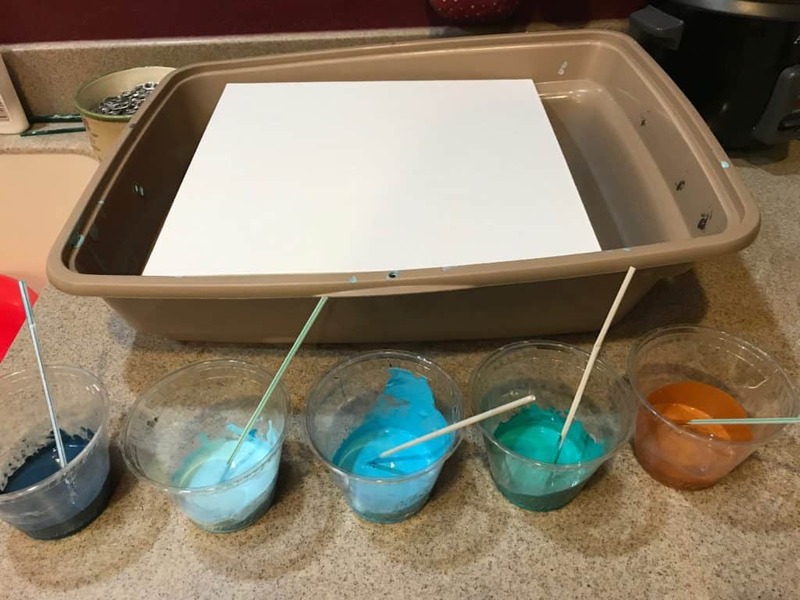 As it was well into the wee hours of the night an I was running low on supplies I had to make do with a lot of color mixing. 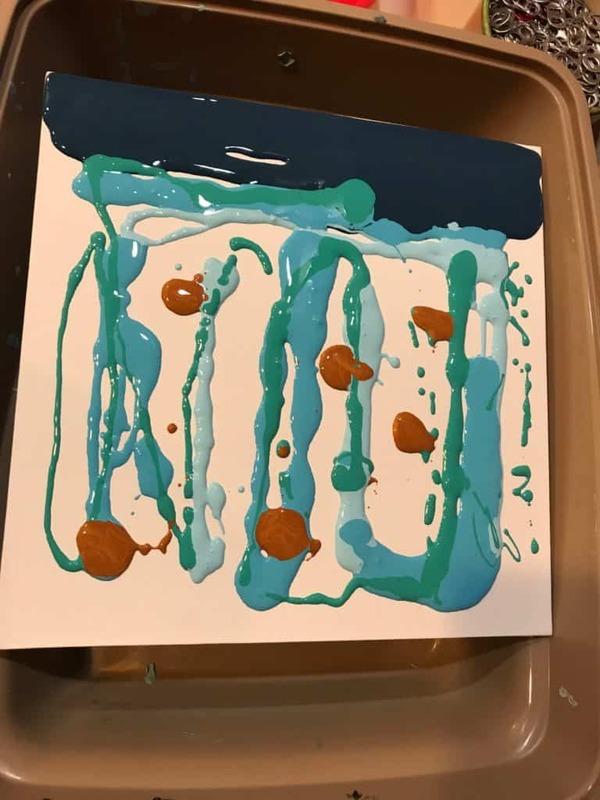 I also didn’t have any higher quality silicone to add to my paints so the cells are lacking. But I needed to do this pour to calm my mind and get those few but precious hours of sleep. I didn’t do much thought about technique or my recipes, I just went on a feeling. 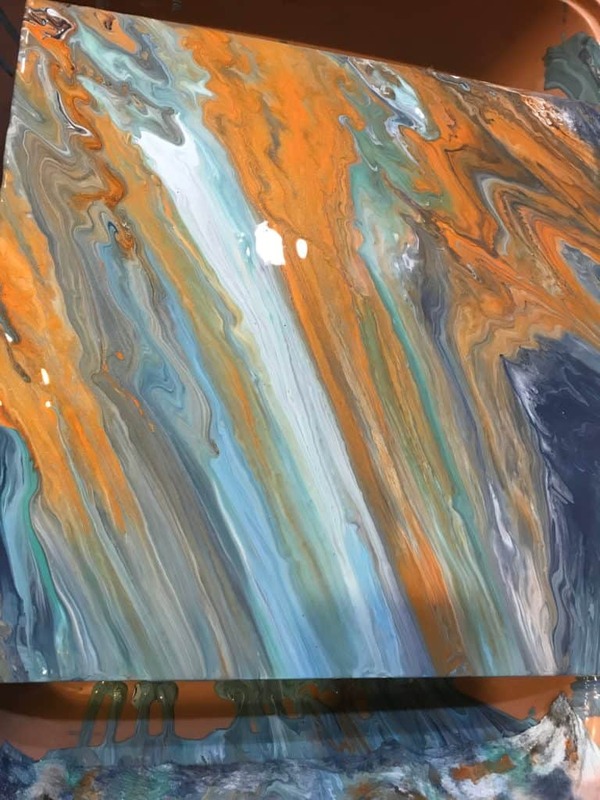 I was exceptionally happy with the colors I’d managed to create with my limited resources but I will give more thought to have I do the pour itself. 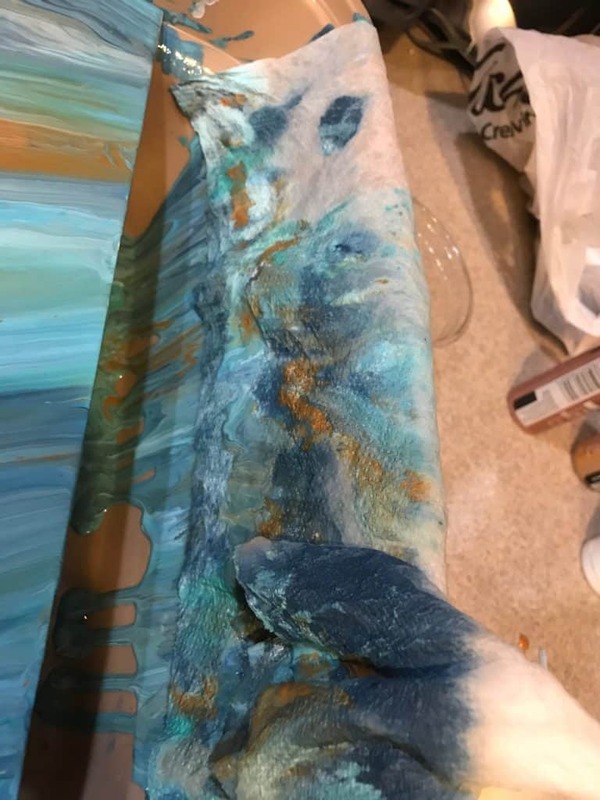 Because the painting is pretty dominated by a darker blue I thought a simple swipe would do the trick, but I also had the idea that I needed to create layers for this pour. And as I know when my brain is fully away, multiple swipes really just creates a big mess if you go too crazy, and unfortunately that is what I got in the beginning. I swiped and tilted and every time I loved what my colors were doing together but it wasn’t giving me what I wanted. Eventually I realized that I wasn’t going to be able to mimic those signature brush strokes because my cells just weren’t there. My swipe rag actually wound up looking more like the painting than my actual canvas, isn’t art funny like that? What I wound up with was a lot more copper heavy and definitely had more of a geode look to it that that of a sleepy French town. But I am happy with my final project. It’s got plenty of glitter and sparkle, interesting color combinations and a lot of promise for imitating the palette of Van Gogh. I think I’ll keep it for now and might use it for a second attempt if I try this again, that would be a smarter way to get those color layers I was hoping for! 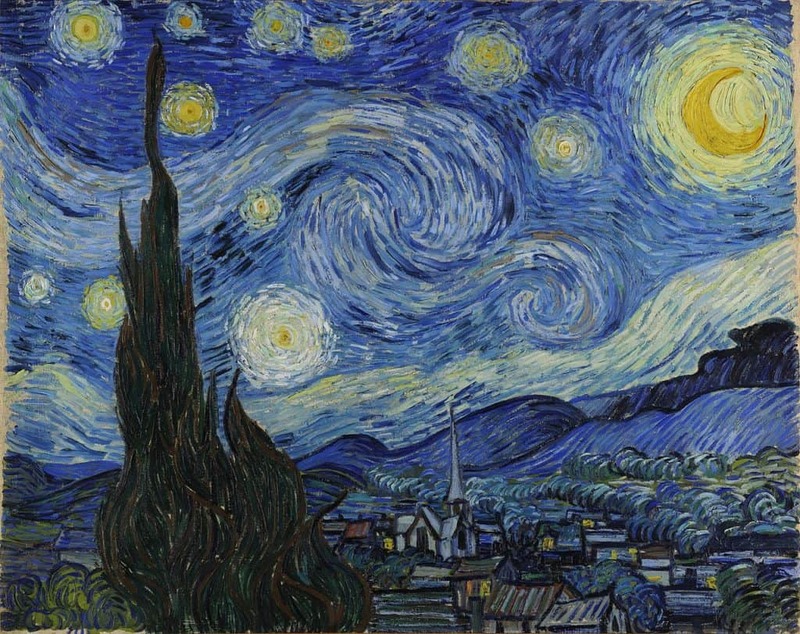 I hope my form of imitation would have flattered dear Vincent, even though I definitely missed the mark! At least I know where to improve and I have a new strategy to ease my sleepless mind.